The Simca Aronde (1951-1963) spare parts catalogue is scanned from an original Simca spare parts book which was in a superb state. This parts book does have a total of 657 pages, full with exploded views, and lists with parts numbers and the associated description of the relevant parts. The parts book is made for all the Aronde models sold, inclusive the very rare sport models. The parts book is scanned in a 1200px/inch resolution. Every page is edited by hand to remove unwanted dots, greasy spots and other imperfections. The pdf software has recognised the scanned text and converted the image text to real text. The advantage of this is the you can use the search function in the PDF reader to find certain text, like parts numbers or a description of the parts. To have a convenient navigation through the file, a handy menu structure is created at the left side of the file. Beside this menu, there is also the possibility to use the original "Table of Contents" to navigate through the file. All the text of the "Table of Contents" is linked to the associated pages. For the opening of the PDF parts book, Adobe Acrobat Reader is recommended. Adobe Reader can be downloaded freely from the Adobe website here. If the PDF spare parts file is opened in a web browser, the menu structure will not show up, and some of the pages may appear distorted. Or if you like to order the Aronde Spare Parts Catalogue, click on the "Add to cart" button. You want it all? If you order the Aronde bundle, you will get the Aronde workshop manual, the Aronde spare parts catalogue and as bonus the Pieces Normalisees catalogues (value €9.99). The Pieces Normalisees catalogue is an excellent tool to find out where that bold or nut belongs you found in your garage. You know it is from your Simca, but can't recall from which part. Read more about the Pieces Normalisees catalogue here. A 657 page spare parts catalogue. A 480 page workshop manual plus a seperate file with all the images of the workshop manual. And a 56 page Pieces Normalisees catalogue as bonus. That is a total of 1193 pages of valuable information about your precious Aronde for only €49.99! 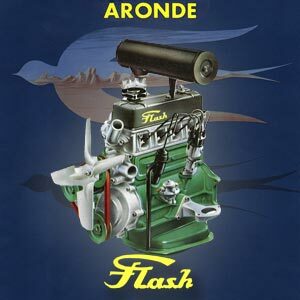 Click on the "Add to cart" button to order the Aronde bundle.The total download of the 4 files is 182MB.